Indeed, the event of mi’raj was one of the most remarkable episodes in the life of our beloved Holy Prophet . He was called by Almighty Allah. He travelled from Makkah to Baitul-Maqdis and from there he ascended the heavens through the miraculous power of Allah. He was honored with a direct contact with his Creator at a place where even the angels had no access. This was the unique honor conferred by Allah to the Holy Prophet alone. It was the climax of the spiritual progress which is not attained by anybody except him. No doubt the night in which he was blessed with this unparalleled honor was one of the greatest nights in the history of this world. Being mindful of this serious warning, we should appreciate that the 27th night of the month of Rajab is not like ‘Lailatul-qadr’ or ‘Lailatul-bara’ah’ for which special merits have been mentioned expressly either y the Holy Qur’an or by the Holy Prophet. However, all the recognized modes of ‘ibadah (worship) like Salat, recitation of the Holy Qur’an, dhikr, etc. are commendable any time, especially in the late hours of night, and obviously the 27th night of Rajab is not an exception. Therefore, if someone performs any recognized ‘ibadah in this night from this point of view nothing can stop him from doing so, and he will be entitled to the thawab (reward allocated for that recognized ‘ibadah insha-Allah.) But it is not permissible to believe that performing ‘ibadah in this night is more meritorious or carries more thawab like ‘Lailatul-qadr’ or ‘Lailatul-bara’ah’, because this belief is not based on any authentic verse or on a sunnah of the Holy Prophet. Similarly, it is not a correct practice to celebrate this night collectively and to invite people to special ritual congregations. Abu Hurairah, Radi-Allahu anhu, has explained in the same tradition that ‘Fara” was the first child of a she-camel. Whenever a she-camel delivered its first child, the Arabs used to sacrifice it in the name of their so-called gods, while the ‘Atirah’ was a goat used to be sacrificed in the month of Rajab. Since the Holy Prophet stopped both these customs, ‘Atirah is no longer a recognized practice. However, Ibn ‘Aibidin has quoted a narration that ‘Abdullah ibn Zubair, Radi-Allahu anhu, completed the renovation of Ka’bah shortly before 27th of Rajab, and as a sign of gratefulness he performed ‘umrah and slaughtered some animals. But this report cannot form the basis of a recognized annual practice, firstly because the report is not very authentic, and secondly because it does not mention that Abdullah ibn Zubair, Radi-Allahu anhu, had adopted it as a continuing practice. At the most, he performed ‘umrah once as a sign of gratefulness on the completion of Ka’bah. It does not mean that he performed it as a characteristic of the month of Rajab. Therefore, performing ‘Umrah in this month is like performing it in any other month and no special merit can be attached to it merely because it has been performed in the month of Rajab. Another special mode of worship attributed by some people to this month is the Salat of Raghai’b. According to the custom of such people, this Salat is performed in the night of first Friday of the month of Rajab. The Salat of Raghaib is said to consist of twelve rak’ats to be performed in pairs with six salams, and in each rak’at the surah al-qadr is recited three times followed by the Surah-al-ikhlas. This type of Salat is also not based on any sound source of Shari’ah. Therefore, almost all the jurists and scholars of Shari’ah have held that the Salat of Raghaib is a baseless practice and it is not permissible to treat it as a recognized practice of this month. It is true that there is a tradition, narrated by Razin, the author of a book of hadith, which attributes the origin of this practice to the Holy Prophet but almost all the scholars of the science of hadith have held it to be absolutely unauthentic. Therefore, no importance can be attached to it. 1). In some communities, this custom is celebrated on 17th of Rajab on the assumption that Sayyidna Ali, Radi-Allahu anhu, was born on 11th of Rajab and the 17th of Rajab is the day on which his ‘Aqiqa (Shaving of his head) was performed. In order to celebrate this happy event, the breads of some special type are prepared and after reciting Surah Al-Mulk on them, they are distributed among the relatives and friends. These breads are generally called “breads of Tabarak” because Surah Al-Mulk is usually recited on them. This practice is baseless because it is never proved that Sayyidna Ali, Radi-Allahu anhu, was born on 11th of Rajab or that his Aqiqa was performed on 17th of this month and, as explained earlier, even if these events are proved to have happened in those days, their commemoration through these specific rituals is not warranted by the Shari’ah. 2). A more common practice of this type is observed on 22nd of Rajab whereby some breads and meals of a special type are prepared and distributed among the people. Since these special meals are usually placed in some bowls made of clay, the custom is usually known as “Koonda”, an Urdu equivalent of such bowls. It is usually believed that the custom is designed to make ‘isal-al-thawab to the soul of Sayyidna Jafar Al-Sadiq who himself has directed his followers to observe this custom and has promised them that whoever observes it, his desires will be fulfilled. All these assumptions also have no basis at all, neither historically, nor according to the principles of Shari’ah. In fact, the date of 22nd of Rajab has no concern whatsoever with Sayyidna Jafar al-Sadiq, Rahimah-u-Allah. According to the historians, he was born on 8th of Ramadan 80 A.H. and died in Shawwal 148 A.H. No specific event of the life of Sayyidna Jafar al-Sadiq is proved to have happened on this date. The people believing in the custom refer to a coined story mentioned in an unauthentic book named “Dastaan-e-Ajeeb”. Briefly stated, the gist of the story is that a poor woodcutter lived in Madinah in the days of Jafar Al-Sadiq. He went abroad to earn his livelihood. His wife was employed in the house of the Prime Minister. Once she was cleaning the courtyard of the Prime Minister when Sayyidna Jafar al-Sadiq passed by her. It was 22nd of Rajab. He advised her to bake some breads of a special type and make ‘isal-al-sawab to him. According to this story, he promised her that if her desire is not fulfilled after this practice, she can catch hold of him at the doom’s day. On hearing this, the woman made a vow that if her husband will come back with a considerable wealth, she will observe the custom of “Koonda”. On the same day her husband, who was in another country, found a valuable treasure in the earth and came back with it to Madinah where he established himself as a rich man and started living in a magnificent castle. When his wife told the story to the wife of the Prime Minister, she disbelieved her and because of this disbelief, she and her husband, the Prime Minister, were punished by Allah. He was removed by the king from the prime minister-ship and was imprisoned in a jail and was ordered to be hanged. While being in the prison, the wife of the Prime Minister remembered that she had disbelieved the story of Jafar al-Sadiq told to her by her maidservant and their misery might be the punishment of their disbelief. On this point, she and her husband repented before Allah and made a vow to observe the custom of “Koonda”, if they are released from the jail. After they made such a vow, the whole scenario of the events changed suddenly. The king released the Prime Minister from the jail and reinstated him on his former position. It is ironical that the story of such a woodcutter is not even known to anybody in Madinah, nor in any city of the Arab countries. No Arabic book has ever referred to it. It has no mention except in an Urdu book ‘Dastaan-e-Ajeeb’, the author of which is unknown. One can easily see that a custom based on such a fallacious and mythical story can never be an Islamic custom. Islam has always been far away from such superstitions. Therefore, this baseless custom should completely be avoided by the true Muslims. Some historians have opined that in fact, this custom has been coined by some Shi’ites because the date of 22nd of Rajab is the date of the demise of Sayyidna Mu’awiyah whom they take as their biggest enemy. They took that date as a happy occasion and made the Sunni Muslims also to celebrate it on the pretext of the above mentioned story. Be that as it may, it is evident that such customs have crept into the Muslim society by their long association with Hindus who commemorate different historical events of their religion in the like manner. The Muslims must be careful about these customs, because they are not only an invention of ignorance but also the imitation of non-Muslims in their religious rituals. No doubt the “‘isaal-al-thawab’ to the soul of a deceased Muslim, and particularly to a pious person is not only permissible but also a commendable practice but the Shari’ah has not prescribed a particular date, nor a particular mode to do so. If someone wants to make “‘isaal-al-thawab” to Sayyidna ‘Ali, Radi-Allahu anhu, or to Ja’far al-Sadiq, he can do it any day and by performing any act of worship, like Salaat, fast, Sadaqah, dhikr etc. There is no reason why it should be restricted to a special type of meal or bread distributed on a particular date. What makes this practice worse is the fact that the people accustomed to this practice deem it as necessary as a fard (obligation); rather they treat it as more necessary than fard because they do not care to perform the obligatory Salat or to fulfill the rights of men obligated on them, but they are very strict and punctual to perform these activities. Moreover, if a person does not observe this practice, they reproach him and call him with bad names. Such behavior makes this custom a bid’ah which is condemned by the Holy Prophet as a misguidance. Therefore, the Muslims must abandon all such practices and should not cling to it only because it has been the practice of their society for many years. A Muslim is supposed to follow the dictates of Shari’ah and not the practice of the society, if it violates any of its principles. Conclusion The upshot of the above discussion is that the Shari’ah has not prescribed any specific way to observe the month of Rajab or to perform a specific mode of worship or a ritual in any one of its dates. 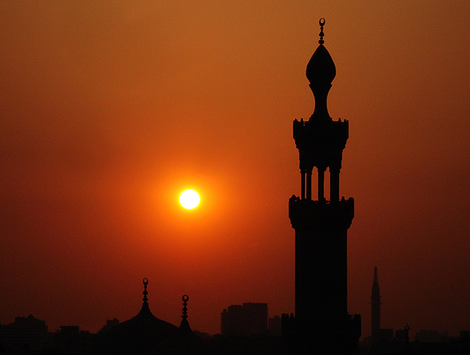 However, being a prologue to the month of Ramadan, it shoul be availed of for preparing oneself for Ramadan and one should pray Allah to make him reach the blessed month and to benefit from its unique merits.